Let’s face it— no one wants their stand up paddle board to get damaged in storage. Who does? But the truth is, many people’s paddle boards are getting damaged from storing them incorrectly at their houses. What are they doing wrong? We’ve heard all the horror stories – delamination, cracks and even mold. We’re not going to let this happen to your SUP. Today, we are going to teach you how to store paddle boards and what your best SUP storage options are so you never have to worry about your SUP being damaged when not in use. It’s much simpler than you think. Before we get to the good stuff, it is important for you to know that if you live in a destination where the winters are long and frigid, your paddle board will probably be in storage for a few months (unless you’re a savage beast that paddles in the dead of winter). This is considered long-term stand up paddleboard storage. Storing paddle boards in winter makes your SUP more vulnerable to damages so you need to take extra precaution of how you store it. Over the years, we’ve kept track of all the frequently asked questions our customers had about storing their paddle board the right way. We’ve picked out the six most popular questions and answer them here. Grab your pen and paper because this one is going to be a doozie. 1. 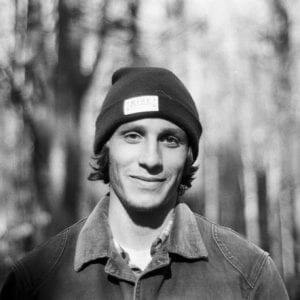 Where is the best place to store my board? You can store your board anywhere in your house/garage/shed. Insulated areas are the best for storing. Do not store your SUP next to your water heater in your basement. The only places you shouldn’t store your board are places that can get too hot or too cold. The recommended board storage space temperature is between 40-110 degrees Fahrenheit. To be safe, we recommend using a paddle board garage storage unit that’s clean, secure, and easy to get to. 2. Can I store my board under my deck? No, because your paddle board is vulnerable to direct sunlight during the day. Even if your inflatable is rolled up in your carrying bag, it’s still prone to overheating from the sun. Either! Storing your hard paddle board in your day bag will not affect its integrity. For an inflatable stand up paddle board, it may cause creases because it will be rolled up in a bag for an extended period of time. However, once you pump up your inflatable SUP, the creases will disappear. If you’re going to store your epoxy board in a bag, it’s important to store it indoors or in a climate-controlled area. 4. Should I store my inflatable paddle board inflated or deflated? It doesn’t matter whether you store your inflatable SUP inflated or deflated. There will be no damage either way. If you do decide to keep it inflated, we recommend releasing a few PSI just in case the area where you store your board becomes too warm. Too much warmth could potentially damage the seals of your board. 5. Will my board mold in storage? Your paddle board will not mold in a storage space, if you make sure your SUP is completely dry before storing. Before you pack up your inflatable, be sure to rinse off with fresh water then dry (air dry or wipe) before rolling up and storing it. We recommend using Simple Green to get any debris off your board. This same process goes for those with epoxy paddle boards – wash off with fresh water and then dry off completely, especially if you plan to store it in a day bag. 6. Should I leave my board’s removable fins on while in storage? We recommend that you remove your board’s removable fins for a long-term storage solution. Removing your fins will avoid the risk of your fins getting stuck inside your fin boxes. If you use your paddle board a lot in salt water, make sure to remove fins occasionally to wash salt off to avoid this from happening. Now that you’ve learned the best practices for long-term paddle board storage, we’re going to explain some best practices for short-term storage. Short-term storage is most common in the summer time or for those fortunate people who don’t really see a winter all year. In the summer, it’s common for most people to use their paddle boards every week or even every day. When it comes to storing your paddle board overnight or even a few days you still need to be diligent with properly storing your board. Almost all the same rules apply to short-term storage as they did with long-term. Always wash your SUP with freshwater after use then dry (if you don’t it will smell awful the next time you use it). Never leave your board outside for the day (direct sunlight will de-laminated your SUP). For inflatable SUPs, if you’re going to keep your board inflated, always release a few PSI when not in use. Storing your paddle board is an important factor to ensure that your SUP lives a long and happy life. While both storage and transportation may be a bit more difficult with such a large board, they are both necessary factors to take into consideration if you want to preserve the quality and life of your paddleboard. As a general rule of thumb, never store your paddle board outside for long periods of time. Always store your paddle board in a climate-controlled area between 40-100 degrees Fahrenheit. Remember to always wash and dry your board off after use before storing to avoid mold and a stinky paddle board. And lastly, make sure wherever you’re storing your paddle board it’s securely locked so no one can steal or damage it. Now that you know how to store inflatable SUP boards, you’ll have no issues in keeping your board in pristine condition for years to come. 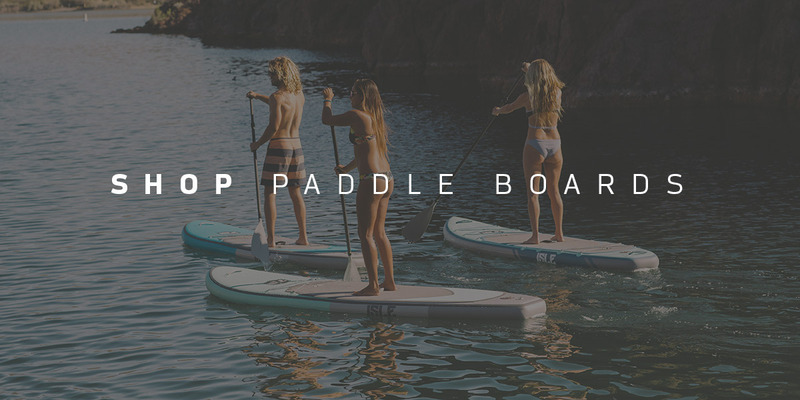 To learn more about our SUP boards, gear, and special offers, please call our experts today.